So tonight Terry cooked dinner. 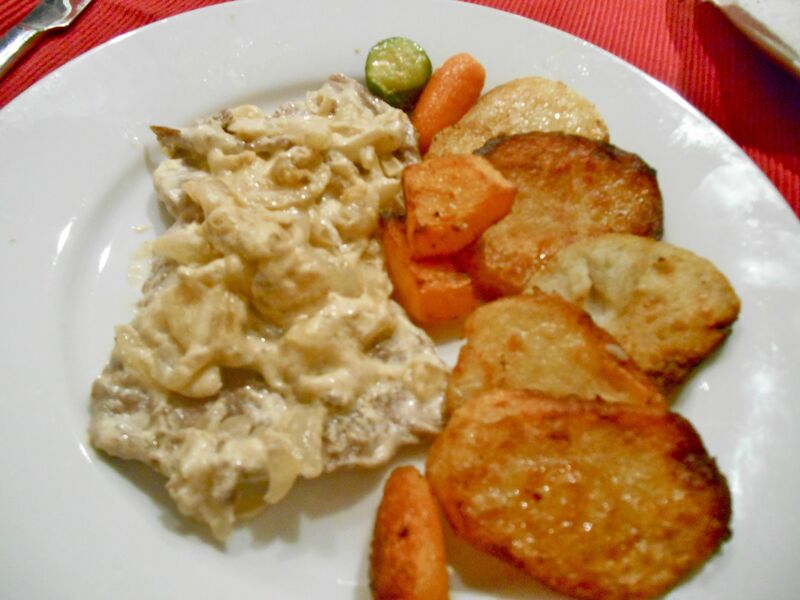 He remembered having a veal dish that he loved some years ago so decided to have a go at recreating it. The result was delicious. Oh, and his saute potatoes are always great. Tonight he sauted some carrots, butternut and courgettes in with the potatoes, too. Season and flour the flattened veal steaks. Melt the butter and the oil and cook the steaks over a moderate heat for 3 minutes on each side. Stir in the onions and cook on low for about 3 minutes. Pour in the wine, bring to a boil over a high heat for about 5 minutes or until the wine is reduced by half. Reduce the heat and add the cream, stirring constantly for about 5 minutes until the sauce thickens. Taste and season and add a few drops of lemon juice. Return the veal to the sauce and cook for about 3 minutes until warmed through. 3 medium potatoes, peeled and sliced into rounds about 1cm thick. Boil the sliced potatoes for about 15 mins until slightly softened. Melt the butter in a frying pan and add the olive oil. 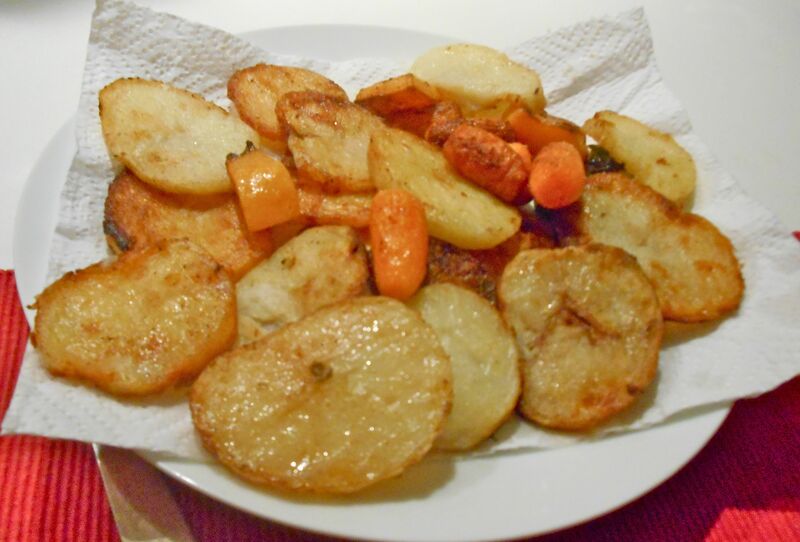 Fry the potatoes on a medium heat for around half an hour until they are nicely browned on both sides.